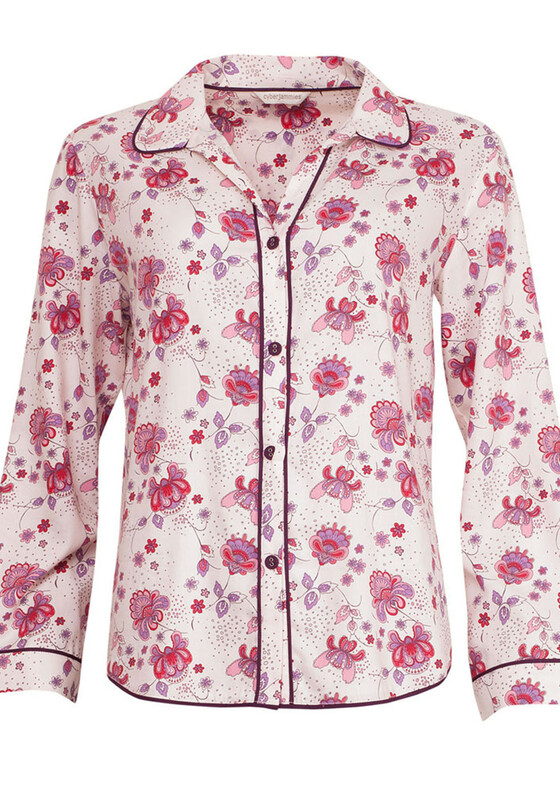 Beautifully feminine, the Purple Haze pyjama top from Cyberjammies would be a pretty choice for relaxing in the evening and will deliver a great night’s sleep. 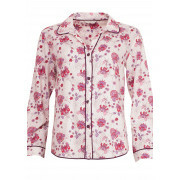 Made from soft cotton rich fabric with a pink and purple toned floral print throughout. Featuring an open neckline above a full button placket.